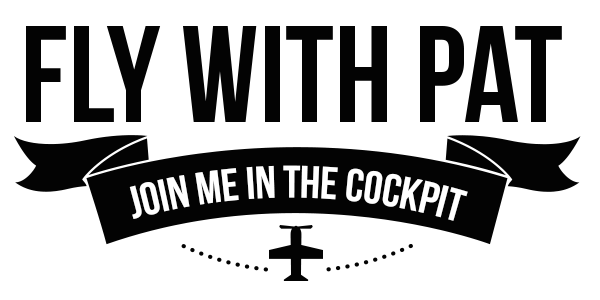 I love your random aviation related deals but you are making me very poor. Last year a deal came along to fly a Robinson helicopter for half price right here in New Jersey. Since I had never flown a helicopter before I had to give it a try. Fast forward about six months and yet another deal comes along. This time it was a one hour flight lesson in a twin-engine airplane, a Tecnam P2006T. The flight school was located at Page Field in Ft Myers, Florida. After giving a call to my aviation partner in crime, Matt, we decided to buy the deal and make a vacation out of it. Lucky for us my family happens to have a place just 30 minutes from Page Field in Ft Myers. Once we starting planning we realized the annual Sun n’ Fun fly-in convention would be taking place around that same time. So it worked out great. We would fly commercial down to the house grab the car, drive up to Lakeland to check out Sun n’ Fun, and then fly the twin before heading back to New Jersey. We arrived at the airport on beautiful vfr day. 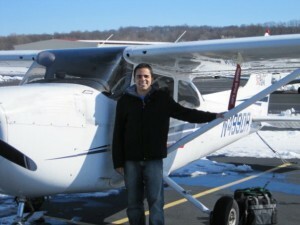 The flight school is called Paragon Flight and from our experience it is a top-notch operation. We met chief instructor Jeff Wolf right on time and started our ground school. We both went into this experience with almost no knowledge of twin-engine operations so the classroom instruction was a must. Jeff explained the basics of flying a twin and the overall topics needed for a rating. Some of the key aspects I remember are ‘critical engine‘ and ‘Vmc – velocity, minimum controllable’. After ground school we went out to preflight the plane. The Tecnam is powered by two Rotax 912 engines. They are very popular engines that have a high power to weight ratio as well as the ability to run on automobile gas instead of leaded aviation fuel. This airport is lucky enough to have mogas available. The biggest difference for preflight purposes was checking the oil. You have to spin the propellers around by hand until you hear a burp noise come from the engine. Once it burps the oil is in the right place to cover the dip stick and check the level. Inside the plane the biggest difference for us was the Garmin G950 glass panel. It was rather intimidating at first having flow only steam gauges but it was surprisingly easy to get to used to. The flight itself was a blast. The take off was very different from our trusty old 172s. The deck angle of this plane makes it feel like you are pointed straight up and climbing like a rocket. Once we were up Jeff had me do the usual turning maneuvers to get familiar with the responsiveness of the controls. By far the most exciting thing we did in flight was single engine work. Up until ground school I had no idea that you actually shut off the engine in flight. Yikes! 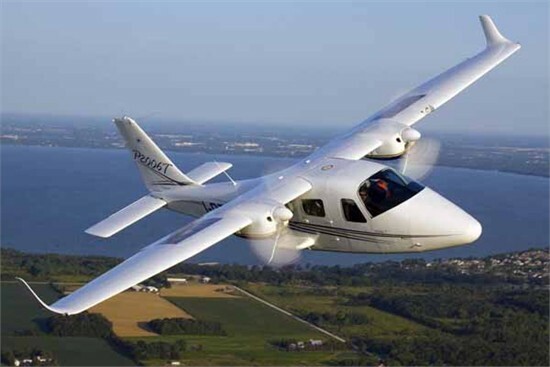 It turns out the Tecnam is a solid single engine performer. After shutting one engine on a hot Florida day and with 3 adults on board the plane was still able to climb 200-300fpm on the single engine. The final noteworthy phase of flight is the landing. It lands very flat and tends to straighten itself out quickly. Overall the plane is blast to fly. It has a huge and comfortable cabin. It’s docile characteristics make it an excellent multi-trainer, which is what it was designed for. The school is even going to add air conditioning to it soon to make taxing in the Florida heat more bearable. The gross weight is only 50lbs more than a 172SP at 2600lbs but you get two engines with great climb performance. Something to think about if you want to take an extended over water flight out of Florida. Jeff and the staff at Paragon did an excellent job accommodating us. If I ever need to rent a 172 while I am down there they are first on my list. DOH! It looks like the same exact plane I flew had a gear up landing on July 6 2012. The good thing is no one was injured. It looks like the plane didn’t suffer too much either. The cause has yet to be determined. Helicopters have always been a bit of a mystery to me. From a young age I just gravitated towards airplanes and never gave them much thought past ‘Wow that seems pretty cool’. I have always wanted to fly one but the cost was usually the limiting factor. 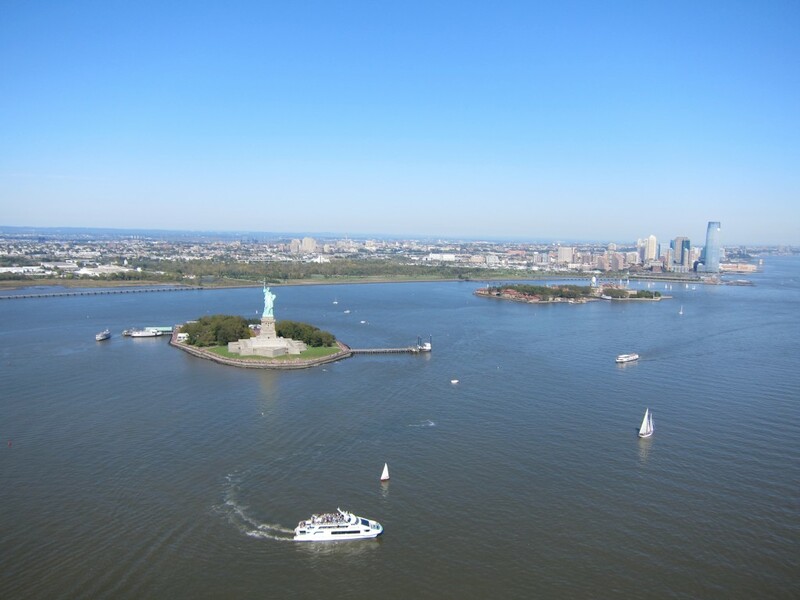 One of the advantages to living so close to New York City turned out to be the helicopter touring business. Most, if not all of the helicopters that take people on scenic flights around Manhattan are based out of Linden airport which is just south of Newark International airport. About six months ago I came across a Groupon coupon for a 1-hour helicopter lesson. The price was basically half off the actual price for a Robinson R22 plus instructor so I just couldn’t say no. My helicopter lesson took place at Pegasus Flight. They are primarily a flight school (fixed and rotor) but they also do scenic tours. I met my instructor Rob Hirt on a beautiful sunny Sunday afternoon. Rob was already out on the ramp working on the pre-flight when I arrived. He proceeded to give me a breakdown of the controls and what to look for in a pre-flight and we were quickly off rolling the bird down the ramp to position for start up. 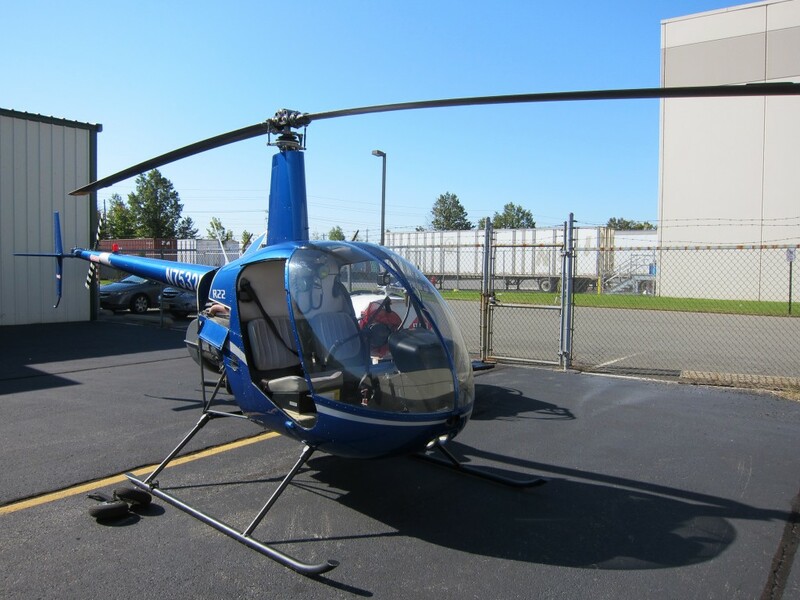 This R22 also had the doors off for our flight which I really liked. Rob suggested we fly up the Hudson VFR corridor and then come back for some practice maneuvers. Once I got the basic concept of the controls he started her up and taxied around for take off. Once we were airborne he quickly let me do my best to do all of controls myself. Obviously Rob was hovering on the controls and making corrections the whole time doing all of the actual flying. However he did so without being so over controlling. Some instructors have a tendency to grab the controls and not let you experiment as much but Rob was more than happy to let me get a feel for things. The first and most obvious thing I noticed is just how sensitive everything is. The instructor said “Just think of where you want it to go and it will go” and he was not kidding. Unlike a plane you are on the controls the whole time making small corrections over and over and just a slight pressure on the cyclic will move the chopper where you want. Rob did a great job with explaining the physics and forces behind controlling the aircraft. I have always been what you could call a man of science so knowing the reasons behind the characteristics of flight helps me a lot. Once we came back from the Hudson Rob demonstrated an auto-rotation. Then we tried the one thing I couldn’t wait to do…..HOVER. To me that is the coolest part about a chopper, just being able to hang up there. Obviously Rob made things look easy and the hovering was very cool. He let me give it a try and it was by far the hardest thing to do. It was actually pretty funny because every time I could see him take his hand off the cyclic we would start oscillating fore and aft. This clearly takes a lot of practice! While the flying itself was of course difficult the first time I had an absolute blast. Being able to fly so slow and low with such a great panoramic view was amazing. I really didn’t expect to like it so much. Having never even considered a rotor rating before I can say now that I am completely sold on beating the air into submission. Now I just need to find a bag full of money, damn you aviation. I did it! On February the 15th 2010 I became a certified Private Pilot. After a few spot on lessons with my instructor he signed me off for the practical exam. I called the examiner and set a date about two weeks in the future. My instructor gave me the name of the examiner but if you are unsure you can use the FAA search tool to find someone local. I was lucky enough to get the one day of the entire week where the winds never went above 8kts. The visibility and ceiling were basically unlimited. The actual oral and flying took about 3hrs and went off without a hitch. I will try to write more about the actual ride in another post. Now my mission has changed. While I will always be a student of flying in one way or another I can approach flying differently. I can find new airports and places to explore. Best of all I can now share my flying with family and friends. Well those who dare at least.